The health sector is poised to enter a dramatic new era of consumer-driven health care. 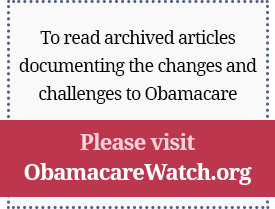 People are demanding more control over decisions involving their health care and coverage. And the Internet allows easy access to a wealth of medical information that was available only to professionals as recently as a few years ago. But public policy is lagging behind. It is suited to an Industrial Age, not our Information Age. Private and public sector bureaucracies, not consumers, still are in charge because they control the money. The United States has been struggling for decades to find a way to provide its citizens with access to health coverage. We have expanded existing government health care programs, especially Medicaid, to cover more and more people and have even created new programs, like the State Children’s Health Insurance Program. Yet the number of uninsured remains stubbornly high. It seems clear that we need to look for other solutions. And that means looking not at further expanding government programs but at harnessing the creativity and energy of the private sector. As amazing as it may seem in our capitalistic economy, this is the one thing we haven’t tried! And the public policy change that will empower millions of consumers to lead this transformative change is by giving them more financial control over their health care and health coverage. This is a novel idea as well. With refundable tax credits to help offset the cost of health insurance, as President Bush has proposed, an army of newly-empowered consumers will shop for the policies that best suit their needs. They will force the insurance industry and the medical profession to cater to them, not to some distant bureaucracy. To make the distribution of the subsidies even more direct, new “health certificates” could help individuals and families purchase private health insurance. Widespread individual ownership of health insurance would be a fundamental change, and refundable tax credits and health certificates are the tools to make that happen. We are at a crossroads. Right now, nearly one out of every two dollars spent on health care in this country comes from government. Without dramatic change, we could easily topple in the direction of a government-controlled health system. The alternative is to lead the way to a revolutionary new system that gives people choice and control over their health coverage. A consumer-driven health system would provide incentives for innovations in health care financing and care delivery. Empowering consumers with new resources will lead to bold, dramatic changes in our health care system that will be transformative in solving many of the problems with cost and access that plague our system today.